The Path of Trust, Part 1: What is It? My last blog St John of Revelations broke a record in reader responses. I take this to mean a lot of you would like my Rogue Scholarly progress to venture down the path of more religiously iconoclastic themes, such as posing that St. John’s famous closing chapter in the New Testament was not hiding a prophecy about the future but exposing a man suffering from post traumatic stress disorder. It is possible John survived the sack of Jerusalem by the Romans. He had become their prisoner in later years, exiled to the island of Patmos on the Aegean Sea. There he sat in his dark cave, like a wounded, grumpy-bear evangeloid with candle and parchment, he began scratching out his letter to the Churches that soon switched tone into a docu-demented psychotic episode becoming the Book of Revelation. In that blog I began to share some stories about a man who had a chief influence in my spiritual education while visiting this mortal coil. 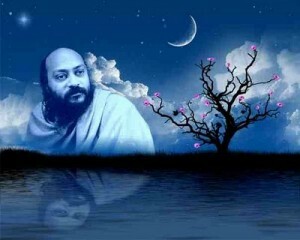 The anecdote and the picture of Osho stimulated a lot of interest, vigorous comment, debate and a few hit-and-run acts of emailed calumny. 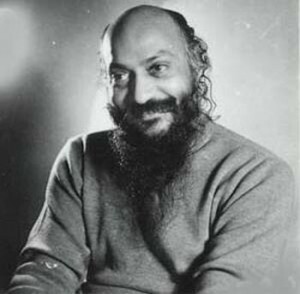 Many of you seek a clarification about my take on Osho and gurus in general and I feel the time has come to ramp the HogueProphecy narrative up a notch for a few rounds of postings. Let us explore for a bit the higher definition of prophecy beyond being the act of forecasting the future, to prophecy as the message of good news and revelations of eternal truths showered on us by authentic masters. We will still provide each posting of this four-part series with a fix on current events tied to forecasts about and fulfillment of predictions for 2010. The time has come to define what, in my experience, is an authentic master. What are his or her traits? This is an important thing to share because when one is seeking a teacher suffice it to say one either does not know individual mastery or has discovered he or she cannot go further to know the mystery of existence without some help from those who may have gone before. The path to a master is fraught with danger because we seek them ignorant of the ultimate truth, yet one must trust in that life-and-death urgency of the seeker who at least has come to know that he or she does not know the next step on the journey and needs help. In my experience, this trust as inner truth compass is not to be confused with faith. They are categorically different. Faith is something borrowed from outside. It is preached to you and you then choose to throw your trust like gambling chips in a “bet” that the priest, guru, or preacher seeking your following may be sincerely borrowing second-hand knowledge of the direct experience of masters who never seek your following. You surrender your spiritual path to an outside idea, a faith, a dogma that takes you away from what I mean by trust. Real trust is not something from the outside. It comes from the deepest wellspring of inner being. It has no dogma. It has no creed but being. It resonates to truth from the outside as guidance, but it does not surrender itself to the ideas or the borrowed faiths of others. Trust remains a miracle of individual spiritual freedom. It can resonate with others but it cannot surrender slavishly. It can intimately love those who help strengthen trust to stand alone in its own truth. It can be in love relationship with another trusting being where the unique and individual presences stand separate like pillars that uphold the temple of trust’s love beyond the personal limits of either pillar. Trust can be a heroic innocence that has the courage to embrace the unknown and live blissfully in the eternally deepening, cosmic intimacy of the unknowable. “My approach to your growth is basically to make you independent of me. Any kind of dependency is a slavery, and the spiritual dependence is the worst slavery of all. “I have been making every effort to make you aware of your individuality, your freedom, your absolute capacity to grown without any help from anybody. Your growth is something intrinsic to your being. It does not come from outside; it is not an imposition; it is an unfolding. “All meditation techniques that I have given to you are not dependent on me — my presence or absence will not make any difference — they are dependent on you. It is not my presence but your presence that is needed for them to work. “As far as I am concerned, I am simply making every effort to make you free from everybody — including me — and to just be alone on the path of searching. “This Existence respects a person who dares to be alone in the seeking of truth. Slaves are not respected by Existence at all. They do not deserve any respect; they don’t respect themselves, how can they expect Existence to be respectful towards them? “So remember, when I am gone, you are not going to lose anything. Perhaps you may gain something of which you are absolutely unaware. “Right now I am available to you only embodied, imprisoned in a certain shape and form. When I am gone, where can I go? I will be here in the winds, in the ocean; and if you have loved me, if you have trusted me, you will feel me in a thousand and one ways. In your silent moments you will suddenly feel my presence. 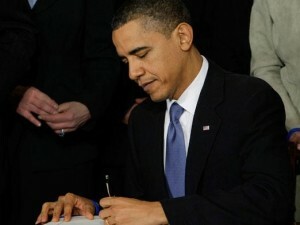 This Thursday (22 July 2010), 37 weeks and four days after I documented the above prediction, CBS News reported that President Barack Obama signed into law a restoration of benefits for people who have been out of work for six months or more after Congress approved the measure earlier that same day. A stroke of Obama’s pen ended six weeks of unemployment benefits running out on 5 million people in the program. The extension of payments will last until the end of November. The mid-term elections happen on 2 November. 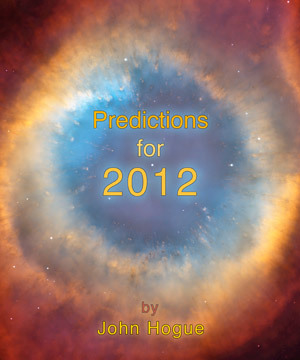 Read more about Mother Nature’s compassionately hard hits coming this year in Predictions for 2010. This entry was posted in Meditation and tagged 2010 mid-term elections, Barack Obama, Beyond Enlightenment, Book of Revelation, CBS News, Chicago downpour, Chicago flood, Earthweek, gurus, masters, Messiah, Mother Nature, nature, Obama, Osho, preachers, predictions for 2010, predictons, reverends, second coming, spiritual masters, St. John of Revelation, unemployment benefits, unemployment extention, Visions. Bookmark the permalink. Post a comment or leave a trackback: Trackback URL.